Compare Car Hire Deals & Buy Online! Compare cheap car hire from the leading travel providers for great deals. Thousands of car hire offers and promotions in Europe and around the world to choose from. We are an independent car rental comparison website, compare prices today & save! It’s easy and fast to compare cheap car rental packages online with Compare Travel. Simply fill out the above form with your chosen destination, pick up and drop off dates and then select “Search for cars’ to review deals. Our aim is to help you find the best car rentals; whether it’s a compact for a family holiday, an SUV for a business trip or a luxury car for that romantic getaway. We compare prices from top branded rental providers in thousands of worldwide destinations. Let us do the shopping around for you. We are free to use and do not charge extra fees on top of your quoted rate. Booking a car rental has never been so easy. Our comparison engine saves you time by comparing all our car rental providers in one go, it will also rank the results in order of choice, type of car, rental brand and cheapest price. Review special offers and competitive prices for both business and leisure trips. Probably the easiest task in planning that well-earned holiday is arranging the actual trip itself. It’s the extras, like travel insurance, baggage surcharges & car hire that can cause the grief. You need to ensure that you are aware of what is covered in the cost of your rental package and what is not. We will go through some useful tips to note when booking a car hire. 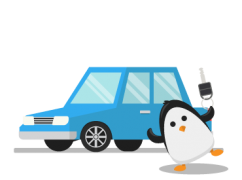 Car hire excess also known as Collision Damage Waiver (CDW) – Many customer expect their car hire package to cover them for basics like theft or damage to the rental. Typically the package will cover these essentials however, there may be a high excess amount. The excess is the amount the you must pay upfront before the insurance company covers the cost of the claim. Some items, like damage to windscreens and tyres are generally not covered. To ensure that you are covered for every possibility, you should purchase a car hire excess policy before hand. Request that the car hire agent examines the car when you hand back the keys to confirm that it is in good condition. Please note if you have caused damage to the vehicle, take photographs for your own records. To get a maximum discount, it is always advisable to book your car a few months in advance and consider looking at both large and small rentals. Mini’s and compacts are not always the cheapest deal as they are in such high demand. This policy allows you to keep control of the cost of your fuel by allowing you to refill the tank yourself before returning the car. This is usually cheaper than allowing the rental agency to charge for a full tank, as they may not offer you a competitive price per litre. Sometimes you may be offered the option of collecting the rental with a half or quarter tank of fuel, to be returned with the same level of fuel. As explained above, this may be a more expensive option as you are likely to find cheaper fuel than the price per litre the car rental agencies typically charge. However, this option may suit the busy business executive who does not want the hassle of driving around looking for a garage. Another downside with this fuel policy is that you do not get a credit for any fuel left in the tank. Documentation, opt for the email version rather that requesting documents to be sent out in the post, as this will save on additional postage fees. When you purchase a car rental, your documentation / voucher can be printed off, amended and cancelled online. The email will go through all the necessary details about the pick-up process, in particular, the items you will need to have at the rental desk before the keys are handed over. You can also call customer support to confirm details, this phone number will be on the email. 1. Do not forget to bring your own credit card – make sure it is one of the major cards that the rental agency accepts. 2. Your driving licence – it is important to be aware that your licence cannot be a provisional/learner and should contain no serious endorsements. You should also have had the licence for at least one year. 3. Other important documents include; car hire excess policy/CDW documents, car hire voucher/document and a valid passport. 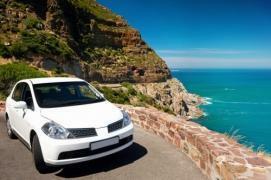 Car rental quotes are provided and administered by CarTrawler. Please note that payment is collected in the name of CarTrawler. We hope you found our car hire tips useful, enjoy your trip and drive safely!